Happy Monday my crafty friends!!! School is already in full swing in many areas, but if your children are still at home this week and are begging you to do a craft with them – you are in for a real treat! 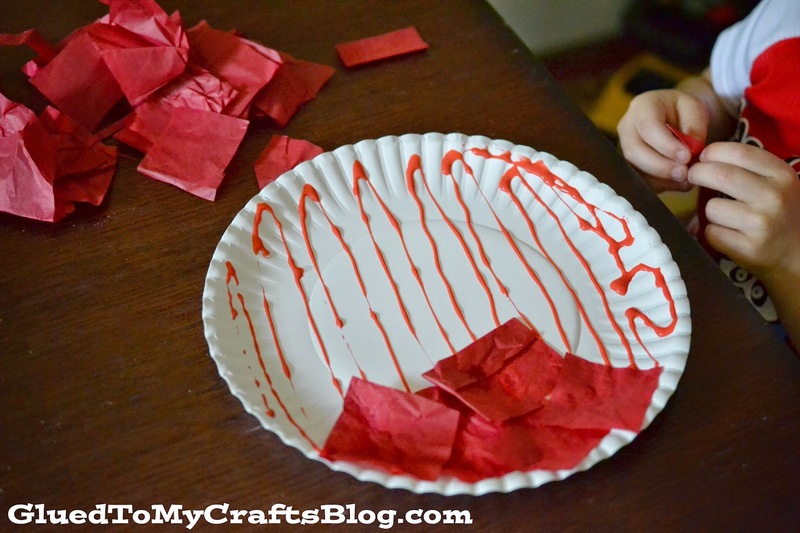 Today I’m sharing another kid friendly activity that is SUPER simple to pull together. 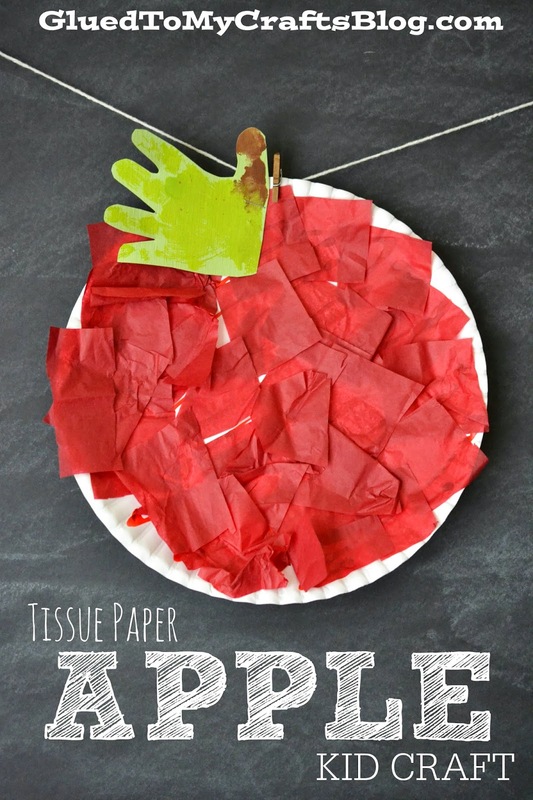 I call it the Paper Plate & Tissue Paper Apple Kid Craft. It has a back-to-school theme, as well as a fall theme. And it’s just that – an apple made out of tissue paper, a paper plate and glue. 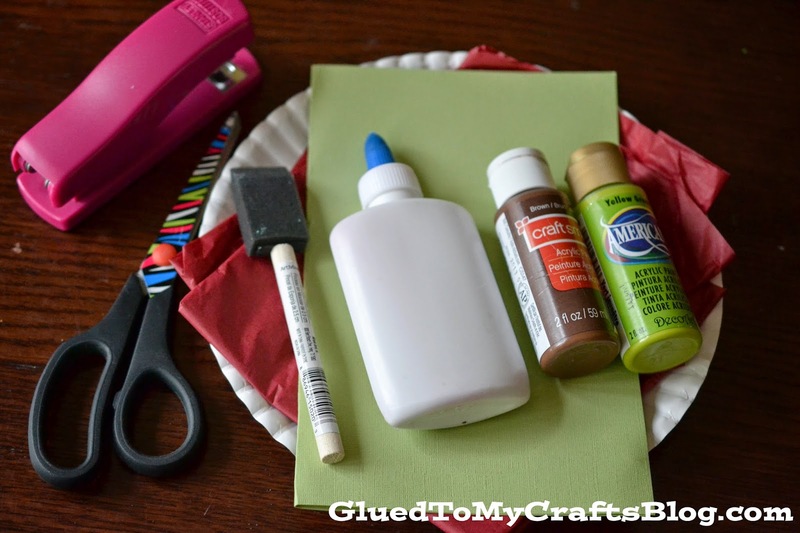 For an added bonus – I colored our regular school glue and it smells amazing too! 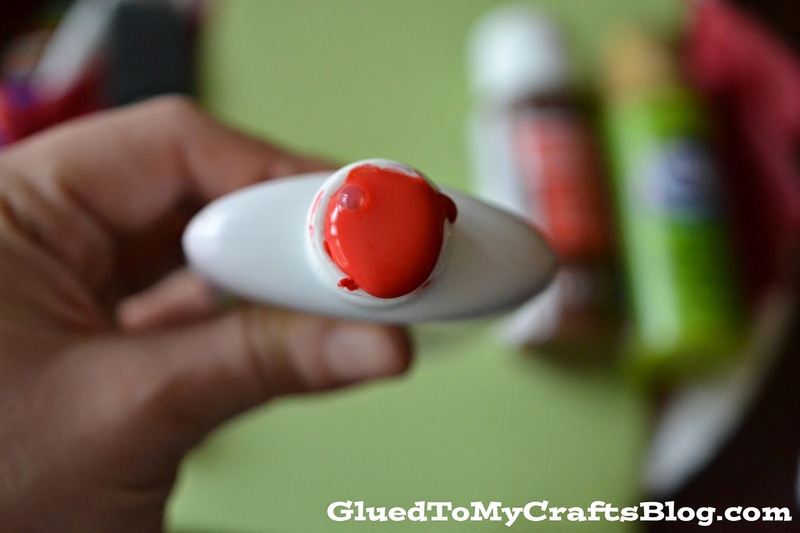 * To make the scented/colored glue – add a single powder pack of red/cherry flavored Kool-Aid to your glue and stir w/a kebab stick until well combined. Use like you normally would. * Slather a good amount of glue all over the paper plate. 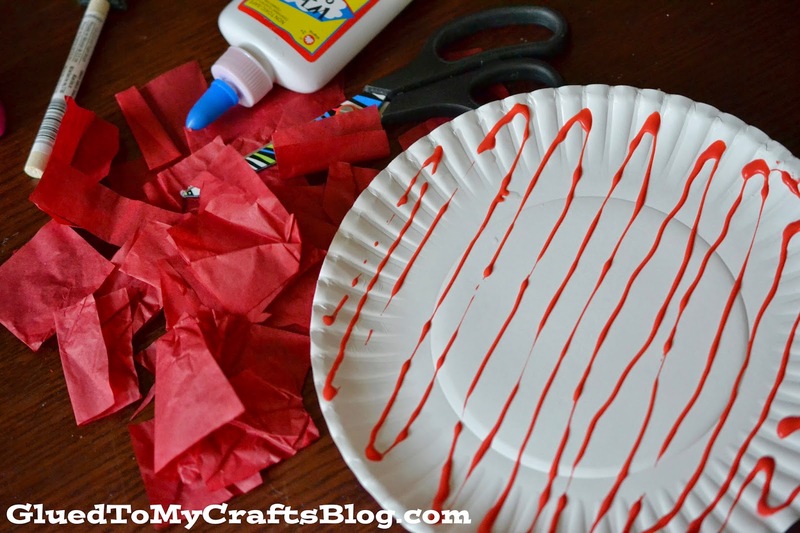 * Have your child place the tissue paper on top of the glue until the paper plate is completely covered. Set aside. 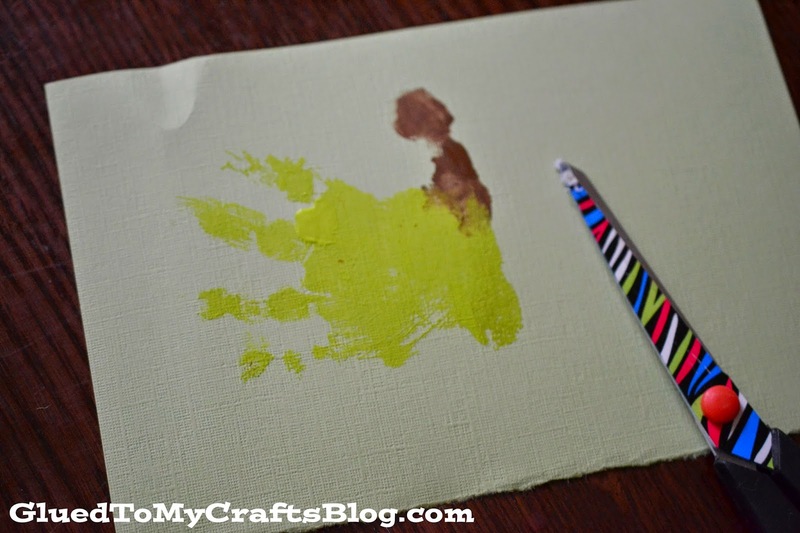 * For the stem/leaf of the apple – make your child’s hand print on cardstock. For this, I painted my son’s four fingers green and his thumb brown. Press down on the paper. Let the paint dry completely. * Trim out the handprint and staple to your paper plate, to give the look of an apple.